The Scottish-born photographer, William Notman, built a substantial archive of images recording activities typical to nineteenth-century Canada. This has become an invaluable resource for researchers from all over the world. 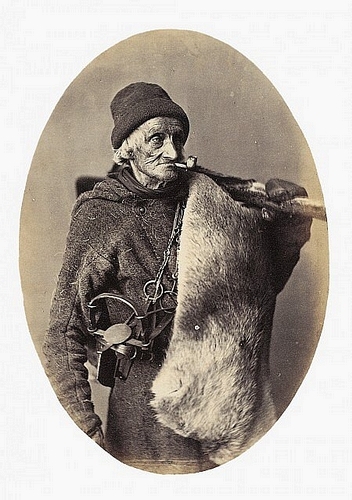 This image shows François Gros-Louis, an eighty-three-year-old native Canadian guide and hunter who appeared in Notman's scenes of caribou and moose hunting and was also painted trapping beaver.